The Marie Katzenbach School for the Deaf needs your help! We are competing against other schools in a hand-lip sync challenge; the school that raises the most money wins the competition and we want to win! Help us by donating on our video. 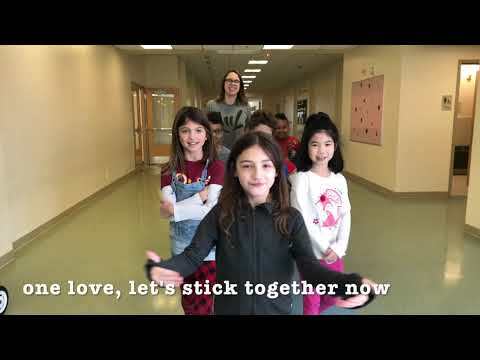 Then share our video with all of your facebook/email friends :-) Donations go toward Junior National Association of the Deaf (Jr. NAD) in their continuing efforts to provide meaningful programs for our students. A portion of the proceeds of this Fund Duel will go to the National Junior Association of the Deaf (Jr. NAD). Jr. Nad is an organization of, by, and for deaf and hard of hearing youth that focuses on developing interest and leadership among deaf students in state associations, schools, and/or organizations of the deaf. Jr. NAD will be hosting its National Jr. NAD Conference in Rochester, NY from November 6 - 10, 2019! This national conference will welcome students from the Jr. NAD chapters across the United States. 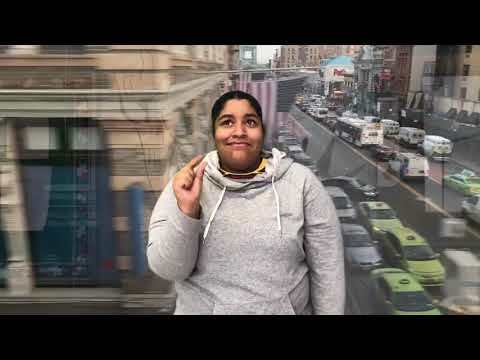 Help the Marie Katzenbach School for the Deaf win the competition!! The video that raises the most money wins. Donate now and don’t forget to share with your friends! Kathy L Vincent donated $100.00. Raquel Alequin Bobe donated $10.00. Donate and you may win the first! The Ohio School for the Deaf needs your help! We are competing against other schools in a hand-lip sync challenge; the school that raises the most money wins the competition and we want to win! Help us by donating on our video. Then share our video with all of your facebook/email friends :-) Donations go toward Junior National Association of the Deaf (Jr. NAD) in their continuing efforts to provide meaningful programs for our students. 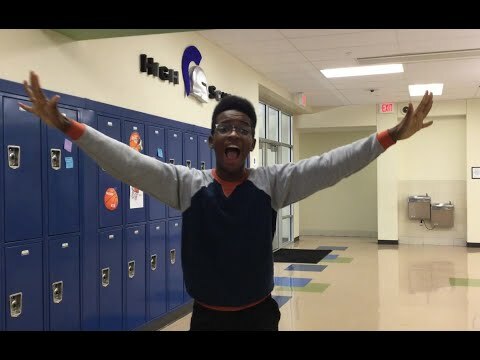 Help the Ohio School for the Deaf win the competition!! The video that raises the most money wins. Donate now and don’t forget to share with your friends! David/ Roseanne Krisko donated $25.00. Catherine S Franklin donated $25.00. Karen S Scholl donated $10.00. Laura A. Smith donated $15.00. Nancy Joy Boone donated $10.00. The Delaware School for the Deaf is raising funds to help cover the costs of its statewide programs for deaf and hard of hearing students K-21 years of age. Our mission is to educate students with rigorous achievement standards, to develop their linguistic competence in both ASL and English, and to prepare them to be contributing citizens, by providing access to language and information in a safe and supportive learning environment. You can help! Donate to our cause today! That's not all. We are in competition with several other schools to see which is the best school for the deaf in all the land. Donate to our campaign today, and show everyone that Delaware is where it's at! Help Delaware School for the Deaf win the competition!! The video that raises the most money wins. Donate now and don’t forget to share with your friends! John & Liz Harrod donated $25.00. James and Melanie Krenek donated $250.00. Kathy and John O'Donnell donated $100.00. Lauren E Pinder donated $50.00. Bryn E F Boer donated $50.00. Kathleen J Riley, AuD donated $25.00. Sally A Barr donated $50.00. Eileen K Disk donated $50.00. The Mill Neck Manor School for the Deaf needs your help! 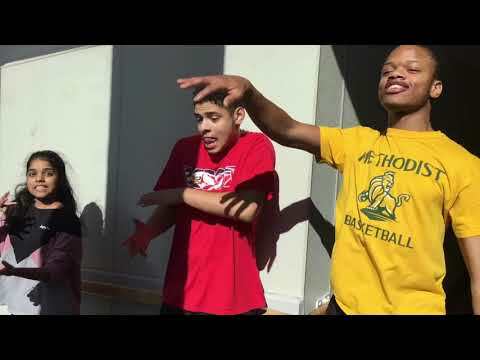 We are competing against other schools in a hand-lip sync challenge; the school that raises the most money wins the competition and we want to win! Help us by donating on our video. Then share our video with all of your facebook/email friends :-) Donations go toward Junior National Association of the Deaf (Jr. NAD) in their continuing efforts to provide meaningful programs for our students. Mill Neck Manor School for the Deaf values the learning styles, communication modalities, and cultures of each individual student. The mission of our program is to cultivate the potential in every student to thrive as a contributing member of society by inspiring a love of learning through direct access to communication. We aim to challenge and empower students to determine their own path in life based on their unique skills and abilities through a variety of provided opportunities. 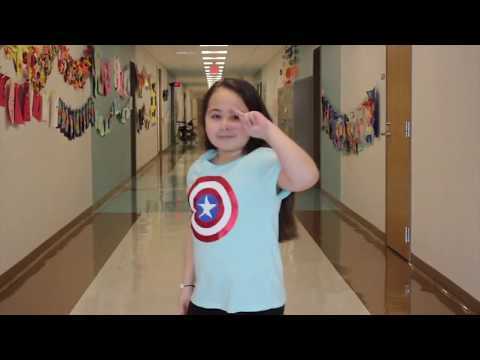 Help Mill Neck Manor School for the Deaf win the competition!! The video that raises the most money wins. Donate now and don’t forget to share with your friends! Toni montetna fasano donated $100.00. The Rochester School for the Deaf needs your help! We are competing against other schools in a hand-lip sync challenge; the school that raises the most money wins the competition and we want to win! Help us by donating on our video. Then share our video with all of your facebook/email friends :-) Donations go toward Junior National Association of the Deaf (Jr. NAD) in their continuing efforts to provide meaningful programs for our students. We are one of the very few deaf schools that is named after a city: Rochester School for the Deaf! Our former communication method was Rochester Method which was exclusively fingerspelling! Can you imagine teachers and students communicating using only fingerspelling!? We have 130 students from birth to 21 years old attending RSD. We were visited at different times by the likes of Helen Keller, Harriet Beecher Stowe (author of Uncle Tom's Cabin) and Oliver Wendell Holmes Sr.
Help Rochester School for the Deaf win the competition!! The video that raises the most money wins. Donate now and don’t forget to share with your friends! Frank DuVincenzo Jr donated $25.00. Denise W Allan donated $100.00. Joseph C Hill donated $30.00. William P Keenan donated $25.00. Susan and Mark Ogden donated $50.00. Michael E. Kane donated $20.00. Frank A Kruppenbacher donated $50.00. Help the Western Pennsylvania School for the Deaf win the competition!! The video that raises the most money wins. Donate now and don’t forget to share with your friends! Tara B. Kent donated $20.00. Tami and Bev donated $25.00. Norma N Nolla donated $25.00. Gregory and Kallie Mendenhall donated $35.00. The Pennsylvania School for the Deaf needs your help! We are competing against other schools in a hand-lip sync challenge; the school that raises the most money wins the competition and we want to win! Help us by donating on our video. Then share our video with all of your facebook/email friends :-) Donations go toward Junior National Association of the Deaf (Jr. NAD) in their continuing efforts to provide meaningful programs for our students. Serving over 200 students and their families, Pennsylvania School for the Deaf (PSD) is the third oldest school of its kind in the United States. Founded on April 12, 1820, by Philadelphia merchant, David Seixas, the school began in his private home. One of PSD's first principals was the noted Deaf Frenchman Laurent Clerc. A teacher himself, Clerc traveled to America with Thomas H. Gallaudet and taught Gallaudet sign language on the voyage home. Our students are respected members of our school community. We believe in each child's full potential and work closely with each child to best assist them in setting and reaching goals and milestones. The Jr. NAD Chapter at Pennsylvania School for the Deaf is one of a coalition of individual chapters at junior high and high schools all over the nation affiliated with the National Association of the Deaf (NAD) and its Youth Program. Our organization is led by a Student Body Government which follows the basic principles of Leadership, Fellowship, and Scholarship. Members of the organization elect a President, Vice President, Treasurer, and Secretary every year and follow Parliamentary Procedures. Our mission is to provide support for the needs of the school and student body and to address student concerns of and about the school programs and services. 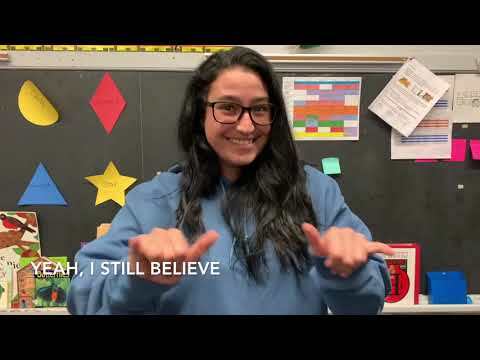 Help the Pennsylvania School for the Deaf win the competition!! The video that raises the most money wins. Donate now and don’t forget to share with your friends! Kathryn D. Sikorski donated $10.00. Patricia S. McFadden donated $20.20. Patricia S. McFadden donated $25.00. Maribeth & Neal Emmons donated $18.20. Pennsylvania School f/t Deaf donated $25.00. Carol A Yuknis donated $50.00. Ann and Steve Sparkes donated $100.00. Jami N Fisher donated $25.00. Anna Maria Tamaro-Bintliff donated $10.00. Danielle M Houser donated $100.00. Barbara A Stevenson donated $10.00. Barbara L Green donated $10.00. Janet S. Weinstock donated $25.00. Elizabeth M Angelucci donated $25.00. Valerie L. Houser donated $100.00. The Maryland School for the Deaf needs your help! We are competing against other schools in a hand-lip sync challenge; the school that raises the most money wins the competition and we want to win! Help us by donating on our video. Then share our video with all of your facebook/email friends :-) Donations go toward Junior National Association of the Deaf (Jr. NAD) in their continuing efforts to provide meaningful programs for our students. History/ interesting fact -- Last year we celebrated the 150th anniversary of the founding of the Maryland School for the Deaf. Help Maryland School for the Deaf win the competition!! The video that raises the most money wins. Donate now and don’t forget to share with your friends! Mary K Clark donated $10.00. The Clerc Center needs your help! We are competing against other schools in a hand-lip sync challenge; the school that raises the most money wins the competition and we want to win! Help us by donating on our video. Then share our video with all of your facebook/email friends :-) Donations go toward Junior National Association of the Deaf (Jr. NAD) in their continuing efforts to provide meaningful programs for our students. The Clerc Center operates two accredited demonstration schools on its campus that enroll deaf and hard of hearing students. Both schools (Kendall Demonstration Elementary School and Model Secondary School for the Deaf) implement teaching and learning practices and promote a school climate that maximizes their academic potential in preparation for graduation and transition to postsecondary education and/or the workplace. Help the Clerc Center win the competition!! The video that raises the most money wins. Donate now and don’t forget to share with your friends! Jessica A Willoughby donated $20.00. Heather M goldstein donated $50.00. Franklin & Norma donated $50.00. Becky Jo & Rick Baker donated $50.00. Kathy A. Donadio donated $100.00. ROSALYN G PRICKETT donated $4.00. ROSALYN G PRICKETT donated $5.00. Lauri L Rush donated $50.00. Barbara a OConnor donated $5.00. Thomas and Rachel Parker donated $25.00. Janice Marie Johnson donated $20.00. Dr. Mary Ann Seremeth donated $20.00. Tywone and Helen Hannah donated $100.00. Erin Land Brown donated $10.00. Abiodun & Harish Ramroop donated $25.00. Nicole A. Sutliffe donated $50.00. Mark and Jane Ramach donated $50.00. Public School 47 in New York City needs your help! We are competing against other schools in a hand-lip sync challenge; the school that raises the most money wins the competition and we want to win! Help us by donating on our video. 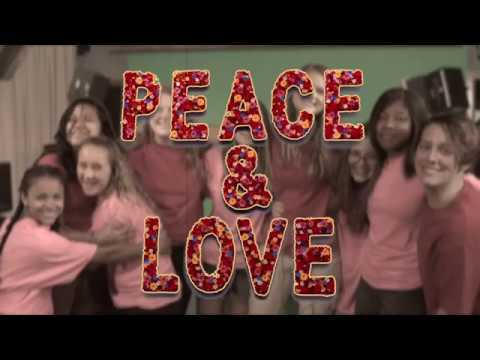 Then share our video with all of your facebook/email friends :-) Donations go toward Junior National Association of the Deaf (Jr. NAD) in their continuing efforts to provide meaningful programs for our students. 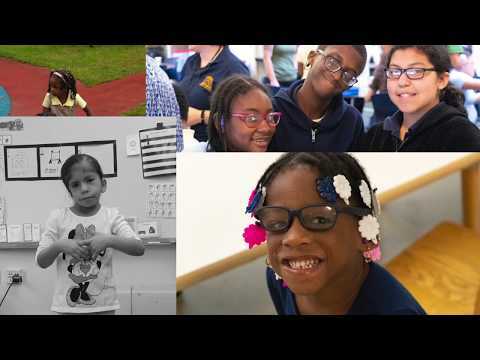 We at PS 47 are a family of educators who are committed to providing an enriched curriculum that motivates, challenges and addresses the individual needs of every student. We adhere to a philosophy that encourages an interegrated curriculum with flexible and varied approaches to instruction that enthusiastically accepts and encourages independent and critical thinking. Want to help bring in more donations for your cause and possibly win a prize for doing it? Join this challenge. Make a video or take a photo in which you perform the challenge described above, then share the link to your individual challenge page that we'll give you with all your friends. If they donate through your page, the cause will get the donation and you'll score the points toward winning the challenge! These prizes are available to participants in this Fund Duel. A challenge is a fun way to raise awareness for the team or cause you are supporting. You make a video or photo of yourself performing the challenge that is described below by the team leader. You use our Fund Duel interface to upload it. You then share it with all your friends and social media contacts so they can learn about the cause and join in on the fun. We'll give you a link to email out, and Facebook and Twitter buttons to share it as far and wide as you can. Videos works even better if at the end of your video, you challenge specific people to make their own video, or donate, or both! As soon as you upload your video or photo, you're entered into the challenge competition. The winner of the challenge is the video or photo that raises the most money for the cause. You'll receive a link back to a page that has your challenge entry on it, along with buttons to donate to the cause via your video or photo. Share that link with all your friends and ask them to donate, and you could win a prize! We store all the videos on YouTube. You can either upload your video through our Fund Duel upload interface (and we'll automatically post it to our site AND YouTube account), or you can upload it straight to YouTube and then copy the link to the video into our upload form.